All you need to get started, in a box. 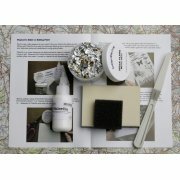 Everything you need to start producing fantastic effects using FlitterGlu and Mega Flake. Simply choose your stamp and have some fun creating great cards and decorations.